SonicWeb is an advanced multi-radio recording internet radio player. It plays free internet radio stations, records, and automatically splits the recorded streams into separate tracks and adds them to playlists. It supports the creation of custom playlists and allows the export of tracks to iTunes and into files. SonicWeb combines the functionality of an Internet radio player and recorder in a powerful, unique way. Playback is gapless, tracks of different radio stations are crossfaded into each other. SonicWeb adjusts the loudness of loud and quiet tracks automatically. These features enable uniform and unbroken audio playback just like with a regular radio station. In combination with the ability to record multiple radio stations simultaneously, SonicWeb will automatically create your own, personal radio stations. Removed the track export function. According to Apple it is a violation of the Mac App Store policies to create transferable files from streaming content, even from internet radio stations. If you like to continue using the track export function please get in touch. 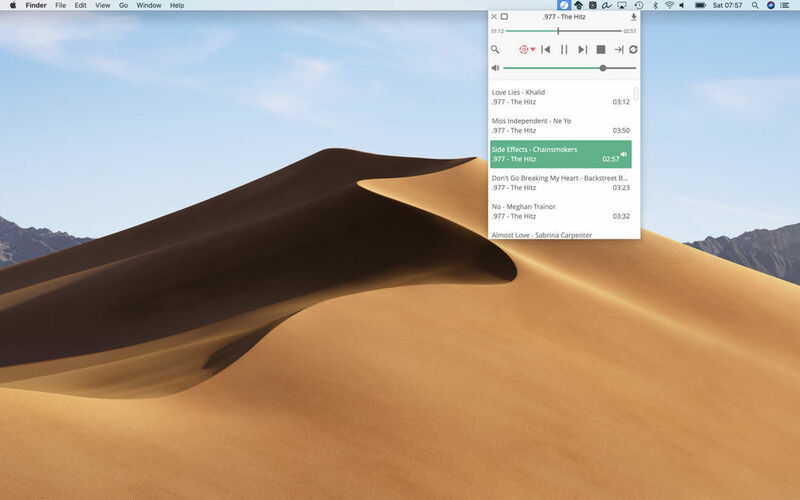 Next story AirBuddy 1.0.4 – Brings the same AirPods experience you have on iOS to the Mac. Previous story PhotoNinja 1.3.7a – High-quality Raw image converter. OneRadio 1.0.3 – Radio for every occasion. Radium 3.1.2 – Multi-network radio player.